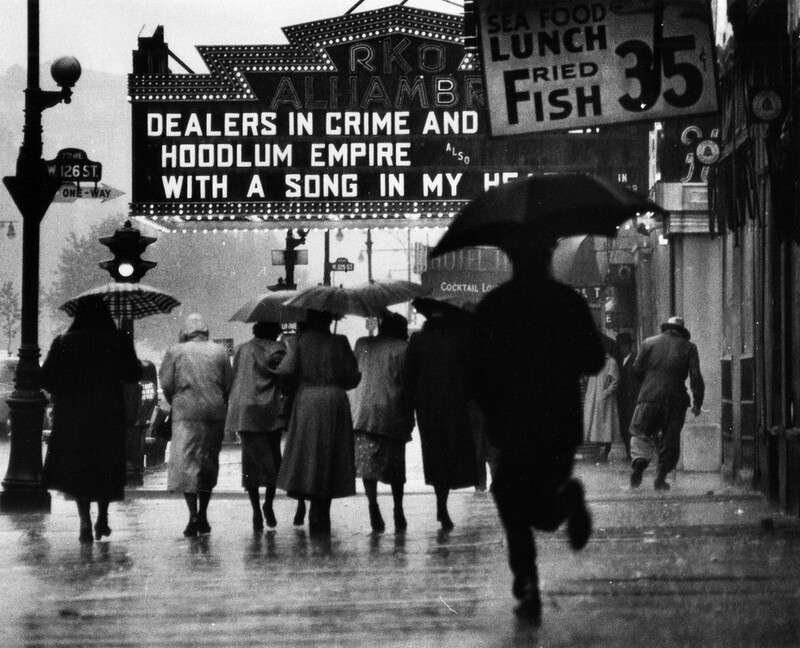 Born in 1912, Gordon Parks excelled as a fashion photographer, composer, screenwriter, and director (he helmed the 1971 classic Shaft). 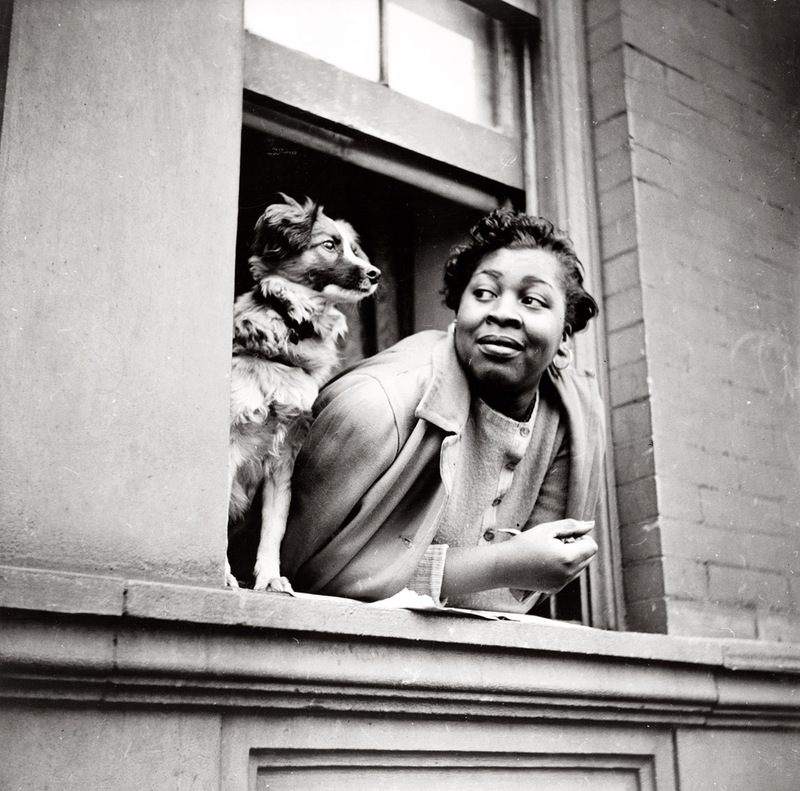 But it’s arguably his street portraits that really resonate—like the one above, “A Woman and Her Dog in Harlem New York 1943” and below, “Harlem Neighborhood, New York City” (1952). 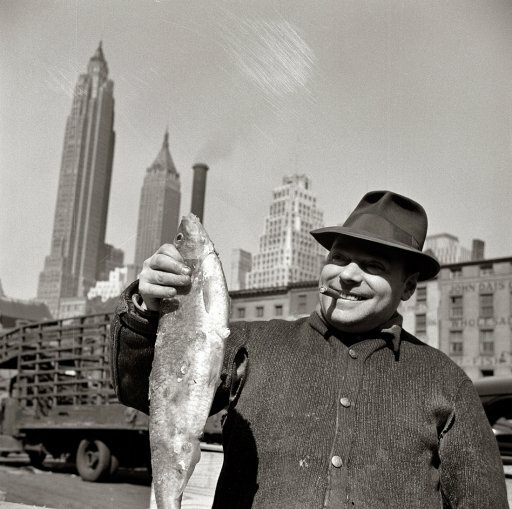 Impressed by photos of migrant workers he saw when he was in his 20s, Parks bought a second-hand camera, taught himself to shoot, and soon set up a business doing portraits in Chicago. He became one of the most prominent photographers of the 20th century, depicting workers and servicemen for government agencies, doing fashion spreads for Vogue, and chronicling race relations and the Civil Rights movement on staff at Life magazine. 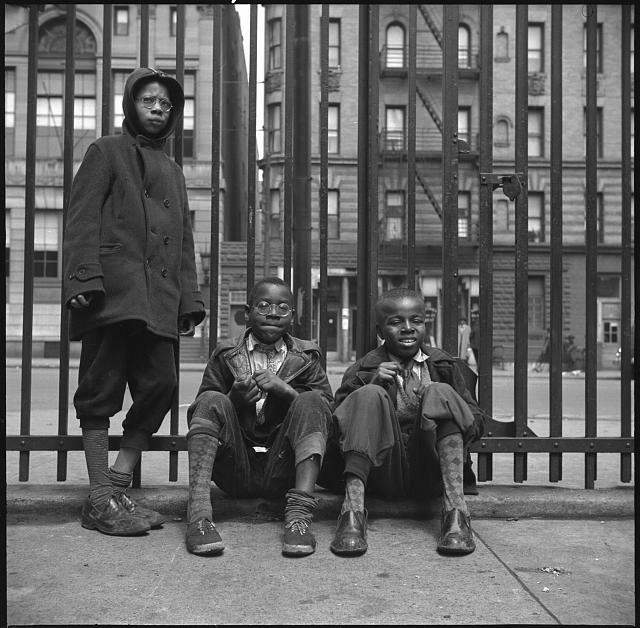 His ordinary images of the men, women, and children of Harlem and other city neighborhoods still pack an emotional punch. They freeze in time moments of triumph, uncertainty, and loneliness. Two current exhibits celebrate Parks: one at the International Center for Photography and the other at Schomburg Center for Research in Black Culture.